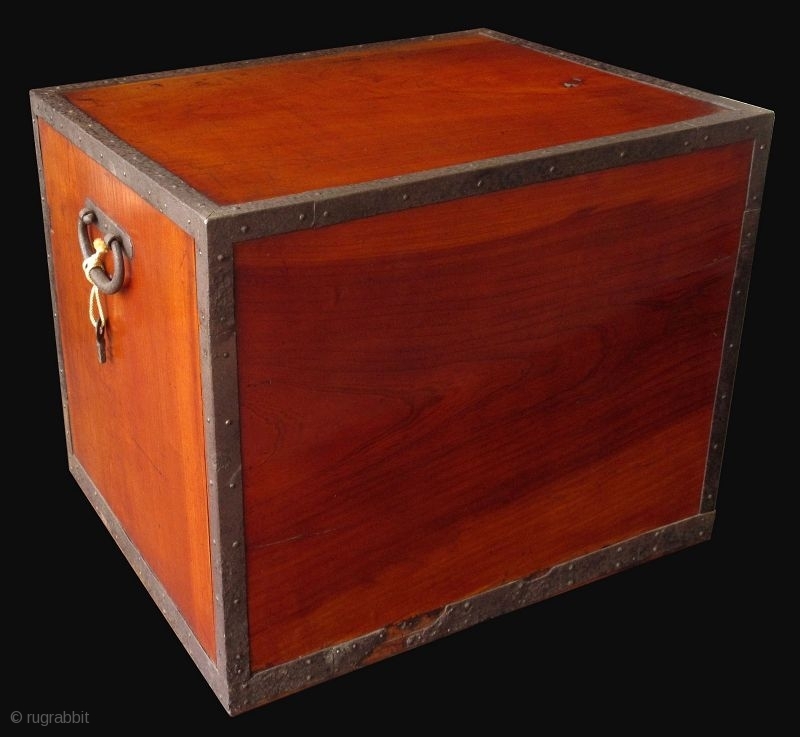 Rare Japanese Sado Island fune tansu, also known as a captions ship safe. 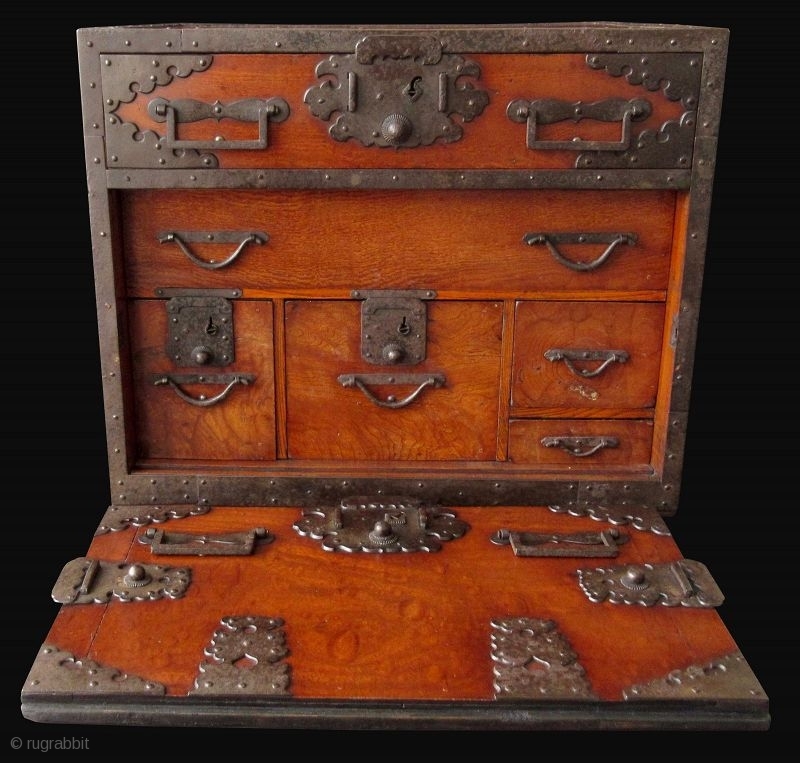 Made of solid quartered sawn Keyaki (zelkova wood) burl construction with heavy hang forged iron plates and mounts. 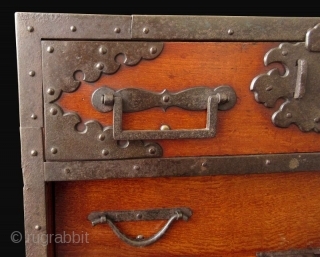 The front of the piece with a drawer above a pull-out panel, opened by Kakute handles. 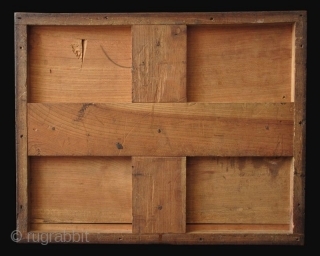 The bottom panels pulls away to reveal four interior drawers surrounding a second pull-out panel, all with Hirute handles. 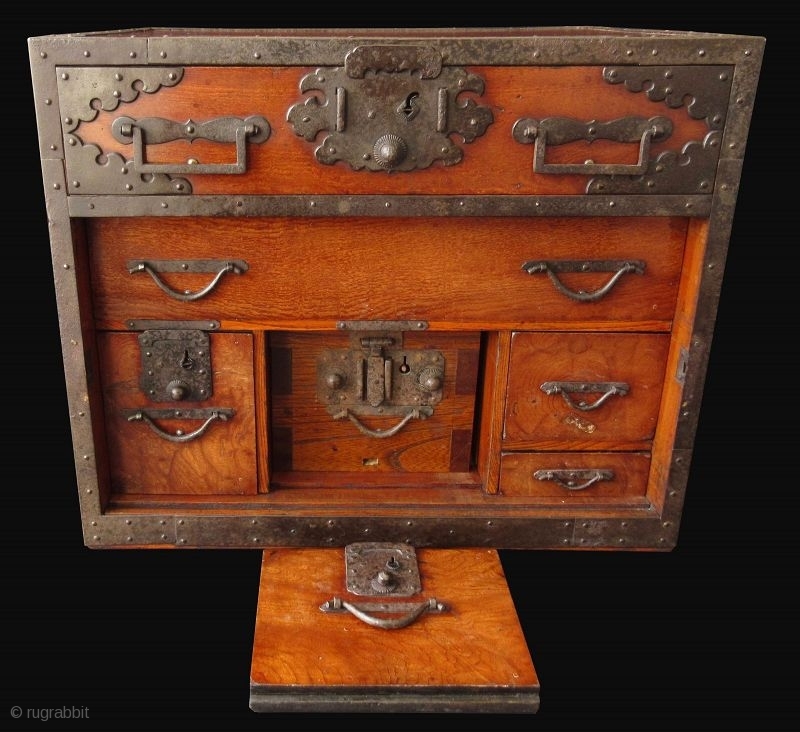 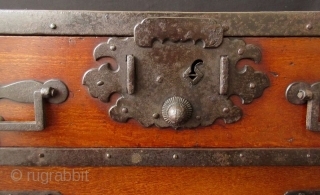 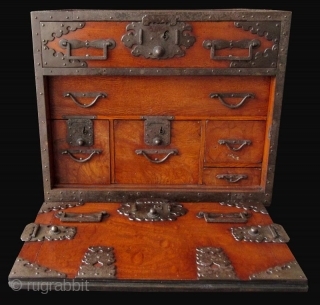 The middle panel opens to a safe keeping box with heavy iron lock and hardware. 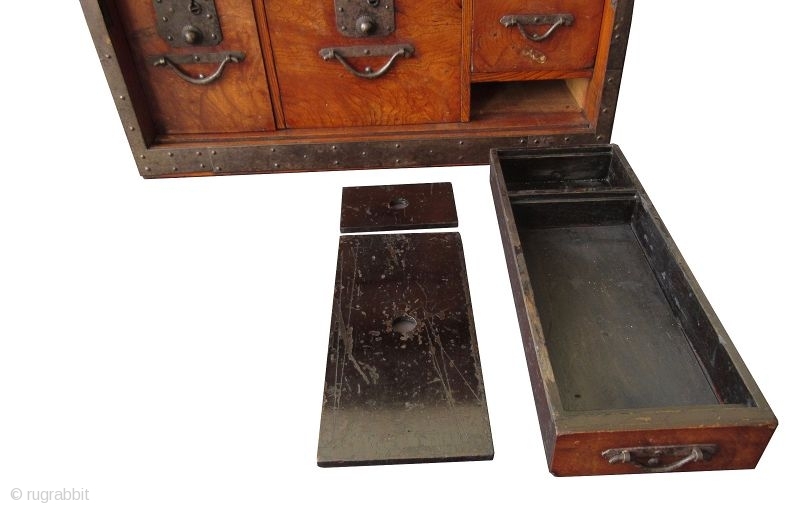 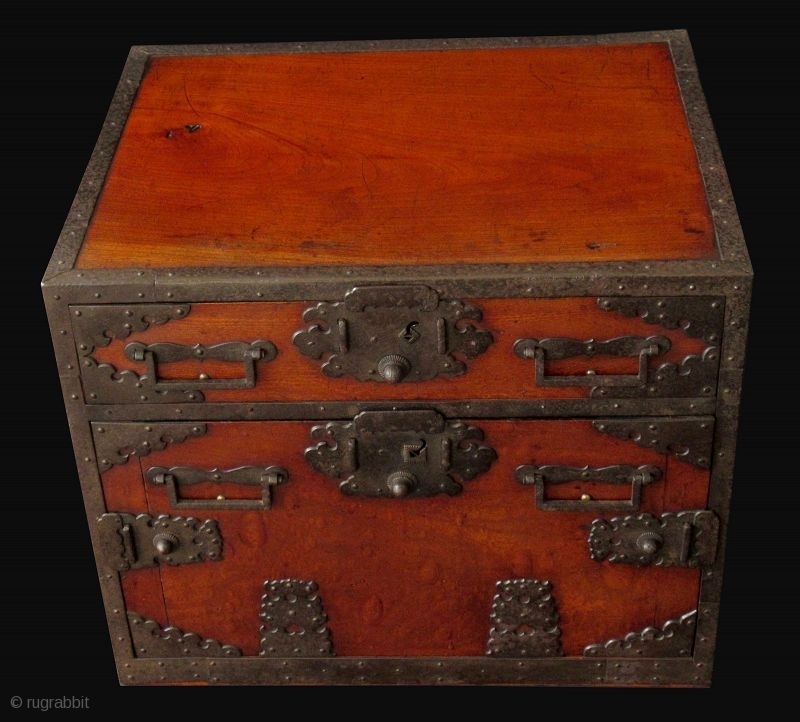 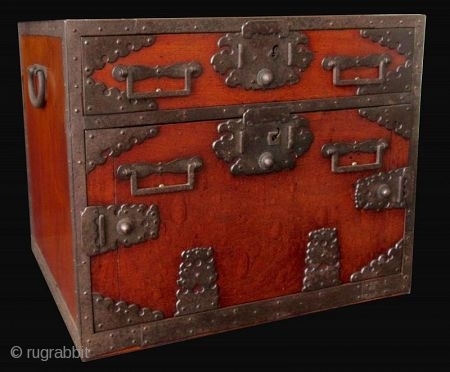 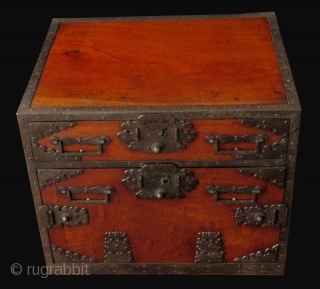 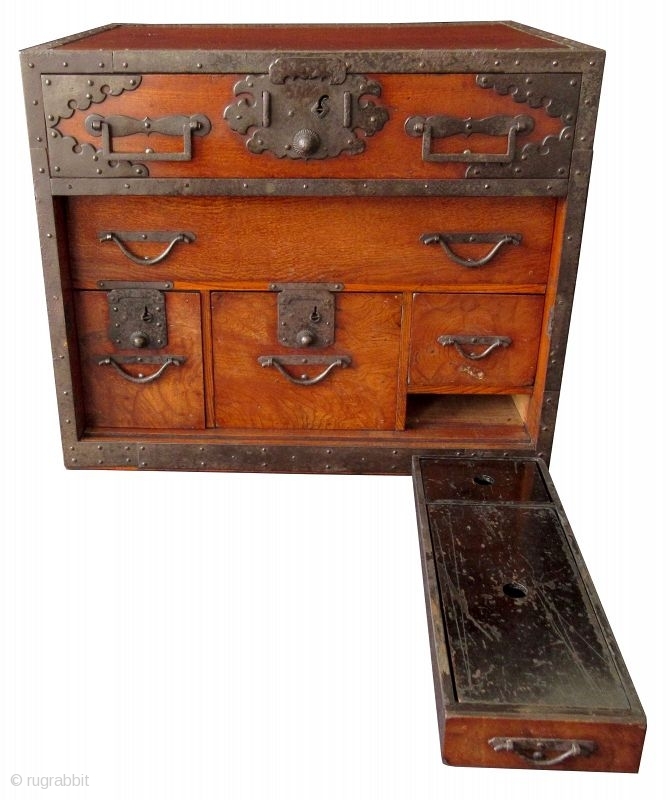 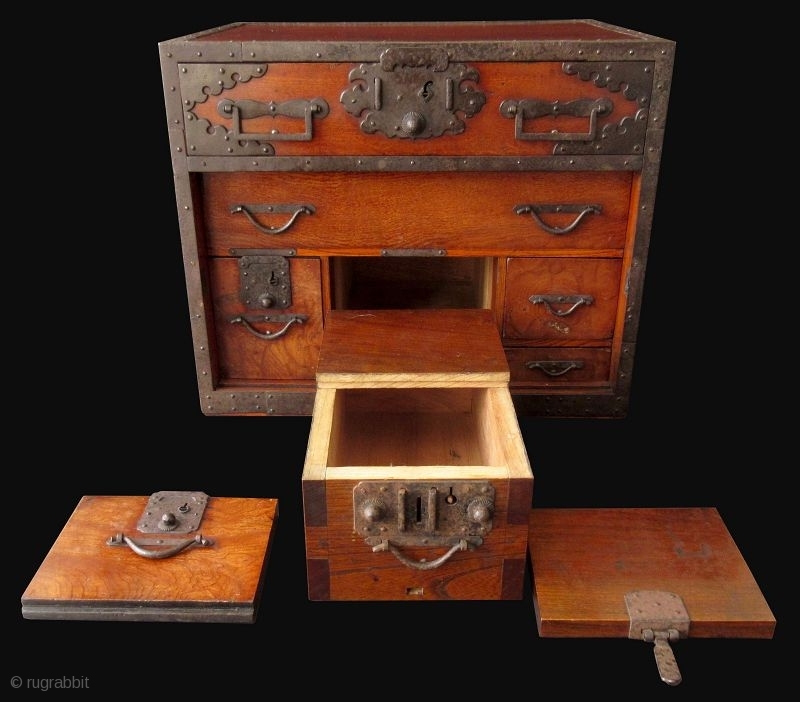 The smallest drawer opens to reveal another secret compartment, with black lacquer lid. Includes original key. Gorgeous original warm lacquer finish in beautiful condition.